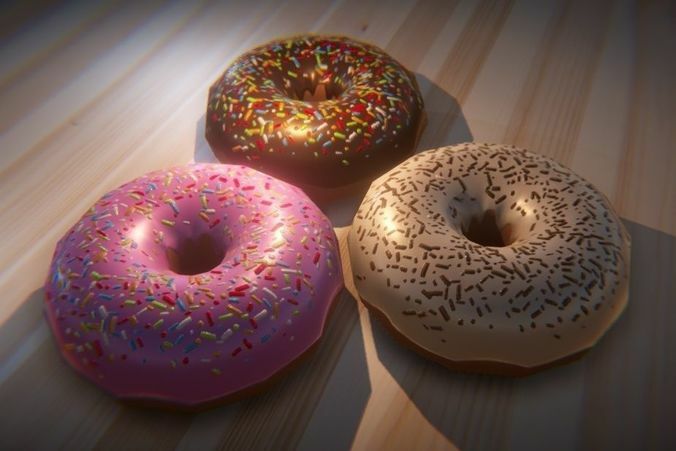 Low poly 3D model of a donut with PBR textures, game-ready. Unity package ready to import into your project! Main preview image was rendered in Unity.